I’m now two thirds of the way through my, post retirement, three month long withdrawal from medication and it’s becoming ever more brutal even though I’m taking it easy. For example I’ve dropped from a high of 250mg of Lyrica down to a current low of 75mg and while doing that I’ve also been weaning myself off cocodamol and powerful antihistamines. The meds helped me to push on while I was at work, but really in hindsight I’d have been better off without them and just leaving work earlier. Not only do all of these meds come with a whole slew of side effects, but they are so hard to get off! Lycria in particular does it’s job my messing with the carefully regulated mix of chemicals that make the brain work, the brain grows dependent on it and when it’s gone it takes months to bring them all back into balance. That’s months of headaches, mood swings, anxiety, depression and sleep disruption that all need to be managed without disrupting family life, it’s not easy, in fact it wouldn’t have been possible if I hadn’t retired. It’s also tough to not turn to other substitutes: pain killers, sugar, caffeine and instead try to turn to exercise, naps, gardening, and distracting challenges to keep me going. It would have been nice to turn to family too, but they all have their own lives that are absorbing all of their attention, still progress is being made, but there’s still months of struggle ahead. One thing that I find very troubling in all this is the incredibly relaxed way that doctors prescribe all of these medication, seemingly with little concern to balancing their effectiveness, their side effects and their withdrawal challenges. Over the years I’ve been ever more disturbed by the actual data on effectiveness of many meds, often seeing for example statistics like – Drug X reduces symptoms by 20% for only 30% of people – well if a drug was ‘sold’ to me in that kind of way I’d be much better equipped to make an assessment of value, but doctors don’t talk that way, they prescribe with confidence (probably to maximise the placebo effect). I’ve also been surprised by how often doctors expect me to know whether a drug is working, exactly how do they expect me to detect a 20% reduction in symptoms, in a condition that varies by 80% in any given week. As an experiment of one, I’d need powerful statistical techniques, years of carefully collected data and alternate use of placebos to detect an effect reliably. I sometimes think that lots of the meds I’ve taken are really no more effective than placebo or that placebo is at least the most powerful affect that they have, maybe that’s what doctors are depending upon. Importantly patients suffering from chronic conditions are incredibly vulnerable, they will desperately grasp at any straw in the hope of some relief and risk all manner of side effects and withdrawal symptoms in the future, in the hope of ANY benefits today. Doctors therefore have a special responsibility to try and guide patients rationally though the decision making process, unfortunately they too are desperate, desperate to get chronically ill patients out of their examining rooms in 15-30 minutes a year. That confluence of desperation makes for a very dysfunctional relationship between doctors, patients and drug companies with all parties suffering motivations that are not in the long term best interests of patients! One thing’s for sure your won’t find doctors or drug companies pushing for and supporting patients through complex lifestyle changes and it’s rare to see patients succeeding in lifestyle change on their own without lots of support. Which is a real shame as it’s often the most effective and seems to be the most cost-effective intervention in chronic illness. I’m writing this post in Caffe Nero, in Hull, my concentration is in tatters (I’ve just corrected dozens of mistakes in this post), my head hurts and I’m feeling quite depressed, but I know that a walk along the estuary, some good food and a beach walk later are the best medicine for the long term, although I know that cocodamol would help within the hour! 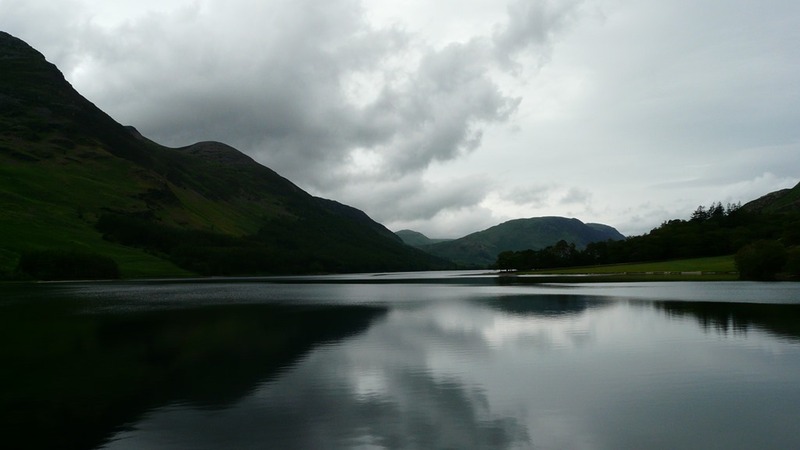 Today’s photo is an appropriately dark and moody view of Buttermere that I took a couple of months ago while out walking with Rob.